Ideals in early childhood these puzzles will develop motor skills, agility. Six simple puzzles in two parts. Six farm animals in bright colors. Your child will learn to enter and parts and associate. 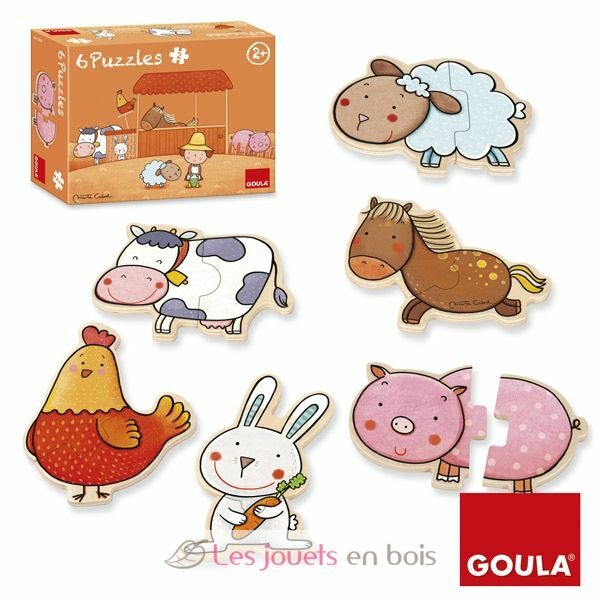 A wooden toy brand of Goula.